According to Accenture Getting to Equal 2019 research, 23 percent of Filipinos in most equal cultures say that nothing holds them back from innovating compared to 13 percent of Filipinos in least equal cultures. MANILA, Philippines — Companies looking to improve and grow their businesses need not look further. A new research from global professional services company Accenture showed that a workplace culture of equality is a powerful multiplier of innovation and growth. In the Philippines, in particular, Accenture’s “Getting to Equal 2019” report revealed that employees’ innovation mindset – referring to their willingness and ability to innovate – is over three times higher in companies with a robust culture of equality, where everyone can advance and thrive, than in least-equal companies. The research also found that innovation mindset of Filipinos is almost twice as high as typical where cultures are more equal and more diverse, and more than four times higher compared with less equal/diverse cultures. The new research is based on a survey of more than 18,000 professionals in 27 countries, including the Philippines, a survey of more than 150 C-suite executives in eight countries, and a model that combines employee survey results with published labor force data. “In this era of widespread disruption, businesses and organizations need to respond with continuous innovation to succeed,” said Ambe Tierro, Accenture’s Advanced Technology Centers in the Philippines lead and Global AI Capability and Delivery lead. “Our research makes it clear that tapping the power of workplace culture is essential to unleashing innovation across the company. As culture improves, our employees’ innovation mindset improves as well,” Tierro said. The study further showed that a vast majority of executives around the world agree that continuous innovation is essential, as 95 percent of them see innovation as vital to competitiveness and business viability. According to the Accenture report, 76 percent of executives globally said they empower employees to innovate. 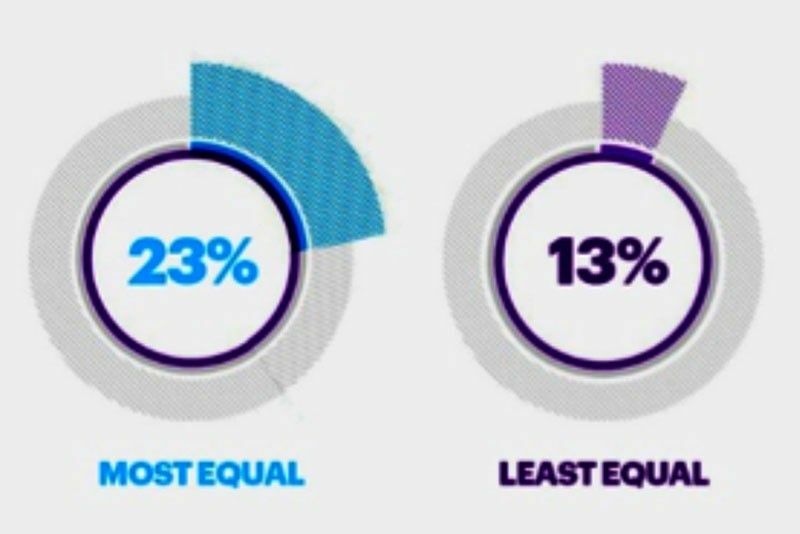 Accenture said a culture of equality is seen as a powerful driver of an innovation mindset — more than other factors that differentiate organizations, such as industry, country, or workforce demographics. Among those surveyed, it said people across all genders, sexual identities, ages and ethnicities show a stronger innovation mindset in more equal workplace cultures. In the Philippines, for instance, for every 10 percent that the culture factors improve by, the innovation mindset among Filipinos increases by 10.6 percent. The study also showed that more empowering the workplace environment results in higher innovation mindset score. When asked what prevents them from innovating in their organization, 23 percent of Filipinos in most equal cultures said that nothing holds them back from innovating compared to 13 percent of Filipinos in least equal cultures. “This shows us that Filipinos who are part of organizations with most equal cultures are least afraid to fail,” Accenture said. However, organizations are encouraged to close an important gap between C-suite executives and employees. 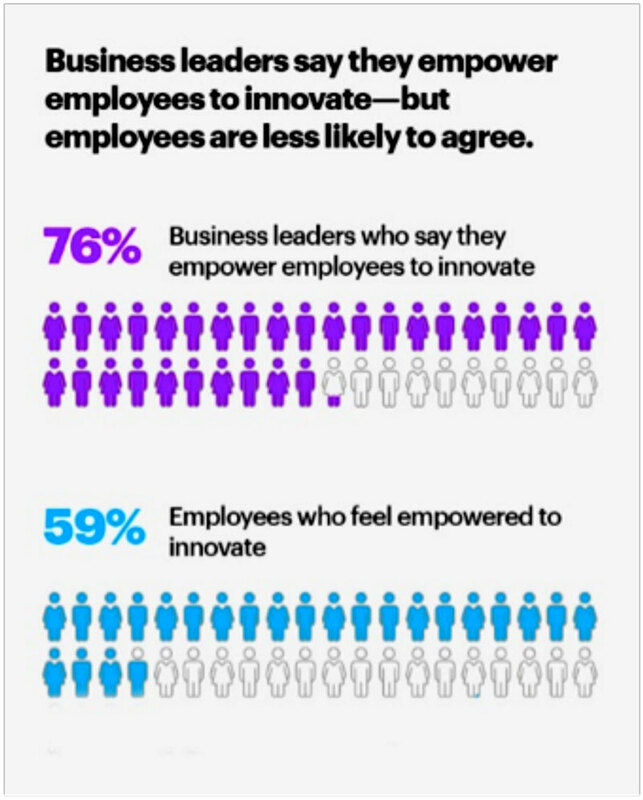 While 76 percent of executives globally said they empower employees to innovate, only 42 percent of employees agree. The same finding applies in the Philippines, with 59 percent of Filipinos feel empowered to innovate. Accenture said executives appear to overestimate financial rewards, and underestimate purpose, as motivations for employees to innovate. In a more equal culture, it said the strongest factors underpinning an innovation mindset include providing relevant skills training, flexible working arrangements and respect for work life balance. “Accelerating equality in the workplace has never been more critical for driving innovation,” said Marixi Carlos, inclusion and diversity lead, Accenture in the Philippines. “If people feel a sense of belonging and are valued by their employers for their unique contributions, perspectives and circumstances, they are more likely to advance and feel empowered to innovate. This is why, as a people company, Accenture is committed more than ever to promote equality, foster inclusion and embrace diversity in the workplace,” Carlos said.